We are a manufacturing company. we have our own workshop with advanced equipment and hold strict quality control system in accordance with API Q1 and API 5DP. High quality raw material and advanced heat treatment make the products higher hardness and toughness. Especially it has higher low temperature toughness. 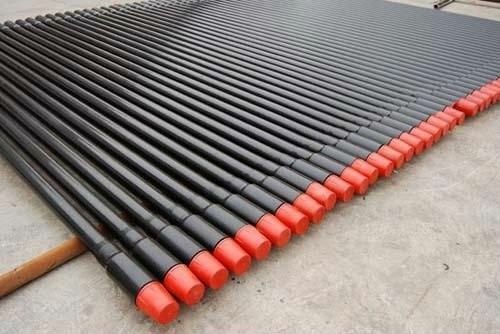 Smoother and longer upset taper length and high performance pipe extends the drill pipe’s service life. Meet or exceed API SPEC 5DP, API SPEC 7-2, and API RP 7G requirement. Adopt complete advanced testing method and strict quality control to ensure the high quality and stable performance products. Holding advanced technology, high –end product R&D capabilities and senior technical workers, we can provide customers special requirement products.